Waste and rubbish tend to accumulate in properties almost unnoticeably, until one day occupants realise there is hardly any living or business space left to use. In such situations, we can be of help through our selection ofspecialised junk removals in Redbridge. We tend to stay away from hazardous waste collections as these fall under different set of government regulations and are carried out by specially licensed service providers. Hazardous waste is all volatiles, explosives, corrosives, toxic and radioactive substances, bio waste etc. If unsure what type of waste you got, please speak to our consultants and they will advise you on whether or not we can do the collection and disposal. Looking for a suitable way to give household or office rubbish the boot? If so, then our professional grade waste management solutions are right for you. Our licensing and qualification allows us to organise and carry out the removal and disposal of a vast array of nonhazardous domestic and commercial rubbish – from small bits and pieces to heavy appliances and all in between. Our specially trained rubbish removal teams are diligent, well-organised and highly efficient. Waste is collected from anywhere on the property, including hard to reach areas. We offer flexible pricing and week-round service coverage. 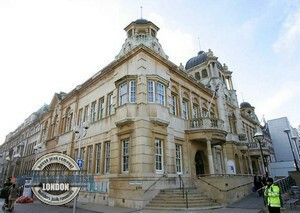 In northeast London is situated one of the capital’s gems – The London Borough of Redbridge. The borough has established itself as one of the prime residential districts of the capital, and is well known for its abundant public amenities of excellent quality, which include award winning parks and green open spaces as well as excellent transport links to and from central parts of the city and thriving shopping areas. Redbridge also boasts strong service industry and provides residents with access to excellent cafes, restaurants, bars, clubs etc. not to mention the vibrant night life economy.